Why is Obesity/Overweight Becoming Prevalent in Women? Why is Obesity Becoming Prevalent in Women? No woman appreciates any negative comment about her appearance. Currently, be it common women or the celebrity women, they all have been subject to this uncool culture of "body shaming". Hence, women are becoming more and more cautious and conscious about their appearance. We all know how women struggle and multi-task in order to maintain their work life balance. However, with the fight against time, they end up ignoring their health. 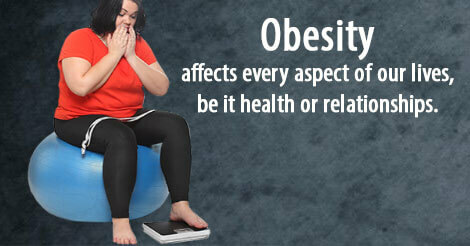 Consequently, leading to lifestyle related diseases like: obesity, hypertension, stress etc. Let's understand now why there is an increased incidence of obesity in women. This then leads to a vicious cycle of emotional eating and putting on weight. The best thing you can do for the obesity prevention is to avoid the risks that cause it. You can simply follow a proper eating pattern and stay physically active. Remember - You are your best judge for your health! You just need to understand that you are yourself responsible for keeping your body fit. Prevention is of utmost importance. To live a healthy and a happy life one must have self-control to avoid all the things that are harmful for our body's functioning by a regular health checkup. This will not only help in assessment of the risk factors and early diagnosis, it will also eventually help in the effective treatment of any disease. For any questions regarding health checkup, concerns or to seek any health advice you just need to fill the query form and we will get in touch with you very soon.